The State Centre for Climate Change and Knowledge Management Cell was established in August 2015 by State Government order and is housed in the campus of State Forest Research and Training Institute, Raipur The State Centre on Climate Change is the apex body to coordinate and implement the Chhattisgarh State Action Plan on Climate Change (CSAPCC). The Centre is guided by a Steering Committee, which has already been constituted by the State Government under the chairmanship of the Chief Secretary with members; Additional Chief Secretaries, Principal Secretaries and Secretaries from concerned departments, representatives from national Institutions and subject experts. The Nodal Officer for CSAPCC is the member secretary of this Steering Committee. The centre is also serving as an agency to co-ordinate among various departments at state level and district committees on Climate Change. The centre works under the Steering Committee. The Principal Chief Conservator of Forests (Climate Change) and State Nodal Officer of the Climate Change is the Director of this centre. The centre is also supported by Department for International Development (DFID) a fund generated by the government of United Kingdom as there is a memorandum of understanding between Government of India, Ministry of Environment, Forests & Climate Change and DFID to support six states including Chhattisgarh for mitigation and adaptation of Climate Change. The DFID providing man power and other technical support to the centre. The DFID is associated to State Centre on Climate Change only to that period till the MOU with MoEF & CC will sustain operational. To set a platform for interdepartmental coordination on implementation of CSAPCC. To provide a platform for Stakeholder engagement to develop climate adaptation and mitigation in a participatory manner. To act as a Monitoring and Evaluation agency in the implementation of CSAPCC. To promote capacity and skills among State Government officials to mainstream climate change issues in development activities, raise awareness on climate change & risk reduction in development activities. To plan and budget the activities to effectively utilize the available resources and coordinate on accessing international climate funds. 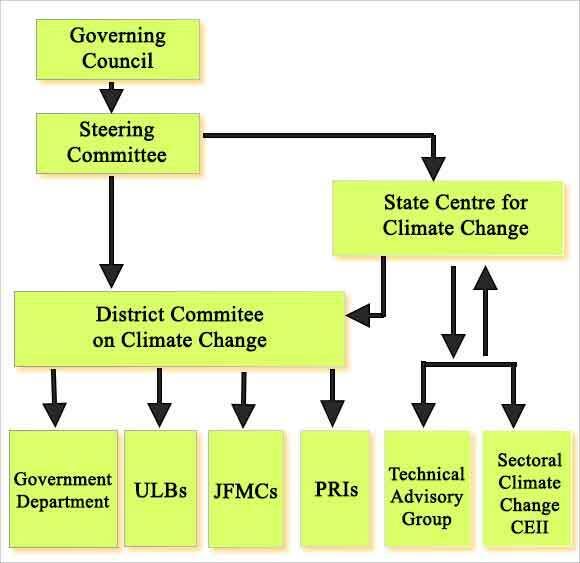 Coordination among various departments at state level and district climate change cells on implementation of state action plan. Act as a knowledge management centre, by strengthening existing knowledge and information base on climate change. Promote capacity and skills of various stakeholders in developing and implementing climate change action plans. To present to the State Steering Committee progress on the implementation of SAPCC. The State has articulated climate concerns in its Approach Paper for the 12th FYP, and as such, is committed to fostering an integrated approach to inclusive, sustainable, and climate resilient growth and development. This vision will be achieved through pursuing (a) mainstreaming of climate concerns into all aspects of development policy and implementation, and (b) ensuring complementarity with and contributing to the national agenda on climate change. 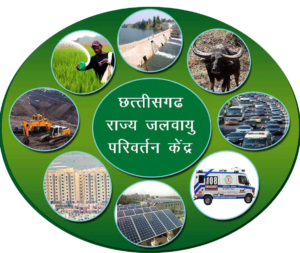 Keeping in mind the overall motto of the CSAPCC – ‘Inclusive Growth for Improved Resilience’, these approaches will be supported by the strategies and actions outlined in this report, and by all other necessary actions by the State Government for the achievement of the Vision.